Originally billed as a launch title, InFamous: Second Son’s delay was, unsurprisingly, met with a collective groan from the PlayStation audience. Much was expected of Second Son after the immense popularity of the previous two games on PS3, and while the game did feature some of the most beautiful visuals ever seen (even to this day) on console, the introduction of an entirely new set of characters and location was met with mixed reception by critics and gamers alike. Fortunately, the open world gameplay, especially in regards to both combat and traversal, is easily the best yet seen in the series. 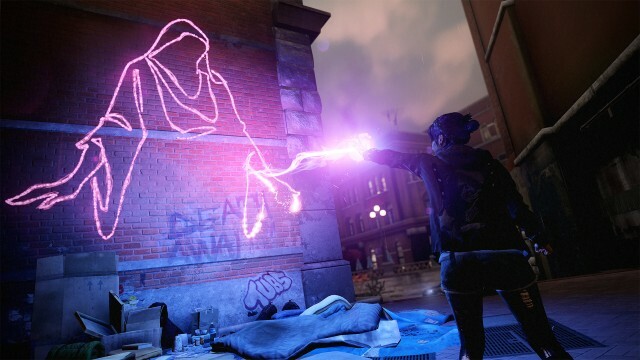 Although Fetch is arguably a far more interesting character than Deslin Rowe, and her backstory takes center stage in the game’s DLC, InFamous: First Light, what makes this expansion such a strong addition to the overall package is that it focuses so heavily on the very best aspect to Second Son; gameplay. First Light explores Fetch’s past through flashbacks that will have players blazing across the familiar streets of Seattle, but most of gameplay takes place within the prison that she is trapped. The Arena mode in First Light takes the best two components of Second Son, traversal and combat, and gives players hours of entertaining gameplay to enjoy. Quite honestly, it’s some of the best pure gameplay you’ll find on PS4 to this day. If you have Second Son then you absolutely owe it to yourself to play this DLC. And even if you don’t own a copy of the original game, the DLC can be purchased separately, and the expansion holds its own as a standalone game.